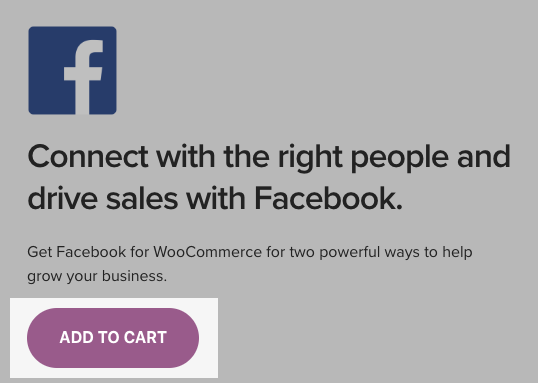 Facebook and your Vend-WooCommerce Integration – How can we help? 1. Head to your Wordpress dashboard. 2. 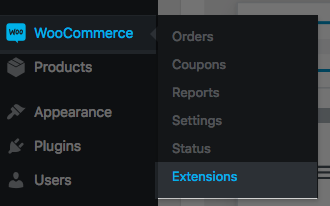 Select WooCommerce > Extensions. 3. Search for the Facebook for WooCommerce extension. Select Install plugin: Facebook for Woocommerce. 4. This will take you to a WooCommerce page where you will have to select Add to Cart. The plugin is free of charge, but you are required to complete this step. 5. Enter your details and select Purchase. 6. You will be given a link to download a zip file. Select Download. 7. Back on your WordPress Dashboard, head to Plugins and select Add New. 8. Select Upload Plugin -> Choose File -> Select the "facebook-for-woocommerce.zip" file. 1. Click Get Started in Woocommerce -> Settings -> Integration, select Activate to activate the plug in and then select Get Started. This will take you to a Facebook page. 2. Select the Facebook page you would like to link your WooCommerce store too. In most cases, you should select the Facebook page for your business. If you do not have a Facebook page for your business, you will have to option to Create a new page. Once you have selected your page, select next. 3. Select Install the Facebook Pixel. This will track actions between your WooCommerce store and Facebook. 4. Import your products to Facebook from WooComm. In most cases, retailers will not import all products in their store to their Facebook page, but mainly their top sellers. 5. Back on WooCommerce, you should notice a new column on your product list (All Products on WooCommerce) which states which products have been synced on Facebook. 6. To publish a product on Facebook from WooCommerce, click to edit a product, and click Update. This will publish the product to Facebook, and you will be informed that the product was created. When on your Facebook page, your products will be displayed. When your customers click on the product, this will take them back to your WooCommerce store, where they will be able to add products to their purchase and make payment. When sales are made via Instagram, your inventory levels will track through to WooCommerce and Vend. This plugin comes with a price to start using. You can find more information about setting up Instagram with WooCommerce here.